The Golden State Warriors haven’t made many friends in the White House, but at least they have one friend in congress. Sen. John Thune (R-SD) commended the Warriors for using their day off in D.C. ahead of Wednesday’s game against the Wizards to tour the National Museum of African American History and Culture with a group of students. Donald Trump previously revoked the reigning champions’ White House invitation after Stephen Curry publicly said he was unlikely to attend. Instead, the team spent their extra day in D.C. meeting with students from Durant's hometown of Seat Pleasant, Maryland, which is 8 miles from the White House. The Warriors spent Tuesday at the museum with 40 students from Seat Pleasant and 10 more from the Tragedy Assistance Program for Survivors, which helps children who have lost loved ones that served in the military. The private museum tour lasted three hours. 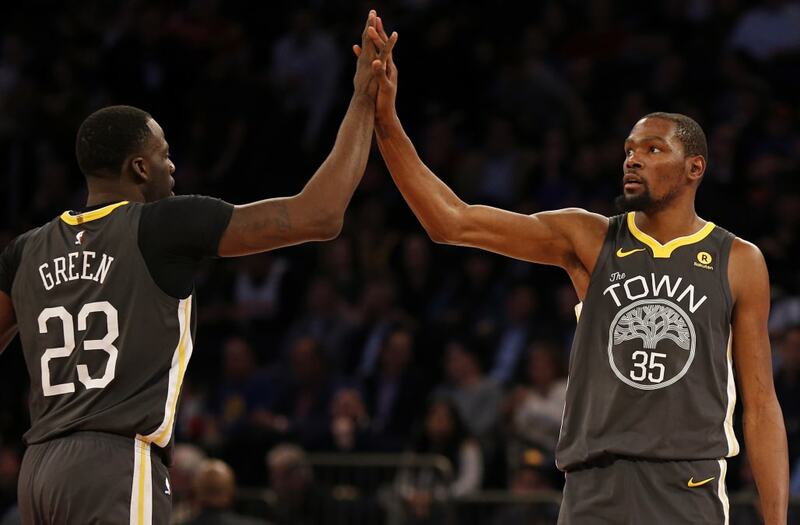 Curry said that going to the National Museum of African American History and Culture, which opened in 2016, offered the Warriors a better use of their time than meeting with a president whose policies they disagree with. "Rhetoric and hate and just general disdain from the top, trying to be divisive and whatnot, has had the opposite reaction from what it intended," Curry said. "We've done our part, I think, to try to further that message." In addition to the Warriors' tour, Kevin Durant also traveled to nearby Suitland High School in Prince George’s County, Maryland, to officially announce the Kevin Durant Charity Foundation’s $10 million commitment and partnership to launch the College Track, a program that guides students through high school and college.